Good news! 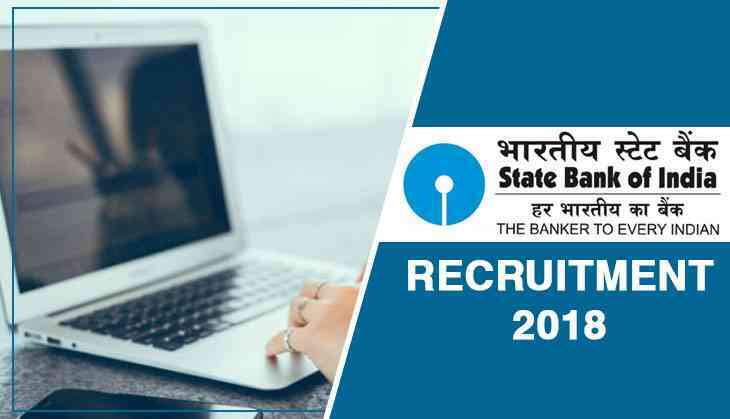 The State Bank of India has released the recruitment notification for the posts of Specialist Cadre Officer on the official website. Therefore, candidates can apply for the vacancy released by the SBI. According to the notification, SBI has invited an online application form to fill 48 vacant posts for Specialist Cadre Officer. All the interested candidates can check the official website for the recruitment drive opened by the State Bank of India. 1. Open the official website of SBI at sbi.co.in/careers. 2. Search the link for the recruitment of Specialist Cadre Officers. 3. Submit your details asked on the official page. 4. Submit your fees and documents for the post. For detailed notification and eligibility details about the posts released by SBI click here to check. According to the SBI Advertisement No: CRPD/SCO/SECURITY & FIRE/2018-19/05, the largest lender is inviting applications for 27 Regular posts of Deputy Manager (Security) and 21 Contractual posts of Fire Officers. The selected candidates could be placed anywhere in India. Candidates belonging to general and others category need to pay Rs 600, while SC/ST applicants have to pay Rs 100. Candidates can apply for the posts on or before 24th September. All the candidates are advised to check the details about the exam on the official website of the State Bank of India.